Enrich the lives of students through tennis. Tennis is the ideal sport to help achieve the health and wellness goals of schools, and the Charlotte Tennis Association is the ideal partner to assist in bringing tennis to students. When you bring tennis into the school, whether at the elementary, middle or high school level, the benefits to the students transcend the boundaries on the court. You will help students build self-confidence, learn teamwork and sportsmanship as well as lead healthy lifestyles. Now bringing tennis to school is easier than ever, with resources and training available through the CTA. With Net Generation, the USTA is committed to helping teachers introduce tennis in PE classes and after-school programs. Net Generation is the USTA’s new youth platform designed to connect kids ages 5-18 with the game of tennis. We are very excited about continuing to assist and support teachers to get tennis in as many schools as possible. Click here to learn more about Net Generation in schools. The USTA has developed a cutting edge in-school curriculum and teacher training program to help educators feel more comfortable offering tennis in school settings. Additionally, the USTA has partnered with tennis equipment suppliers and manufactures to assist schools in obtaining equipment at discounted prices. The free three-hour teacher workshops are designed to show physical educators and extracurricular program leaders how to conduct quality tennis units. 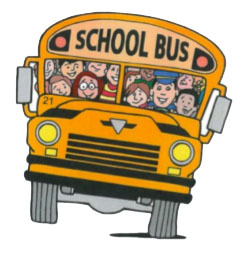 The School/After school tennis workshop often meets school district requirements for continuing education credits. Lesson plans under Net Generation were co-created by the USTA and SHAPE America. As a result, every activity within every single lesson meets SHAPE standards and current grade level outcomes. The lesson plans and activities were created for teaching tennis without tennis courts. Modified tennis equipment including easy-to-rally tennis balls and portable nets make the game fun and engaging. The Charlotte Tennis Association will continue to offer loaner equipment packages for schools that do not register on Net Generation. Loaner equipment packages are available to elementary and middle schools that want to implement tennis to their PE classes, and consist of junior racquets, low compression balls, throw-down lines and station signs. "The link below to our school website shows pictures of our students enjoying the tennis equipment you loaned us. I thought you might get a kick out of it. Thanks again". A program that allows students to sample tennis through supervised play and interactive activities in a safe and open play setting. 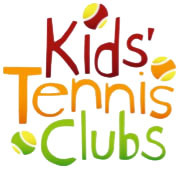 Kids’ Tennis Clubs can be located at a school, park and recreation center or tennis facility, and the play area can be a gym, blacktop or multi-purpose room. USTA organizational members that register their Kids Tennis Clubs are eligible to apply for the USTA Southern Kids’ Tennis Club matching equipment grant. 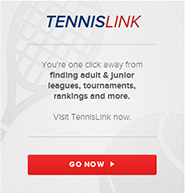 To sign up your Kids Tennis Club, click here. To order merchandise for your Kids Tennis Club, click here.